Who needs to get in the house – when you have yummie, yummie fabric? I have had a delivery of the most gorgeous, supersoft, fleece fabrics. A couple of doggie themed patterns and a few basic solid colours. As I am not going to the ‘Stitches’ show this year – I thought I would treat myself to some serious fabric lengths for a new project I have in mind. 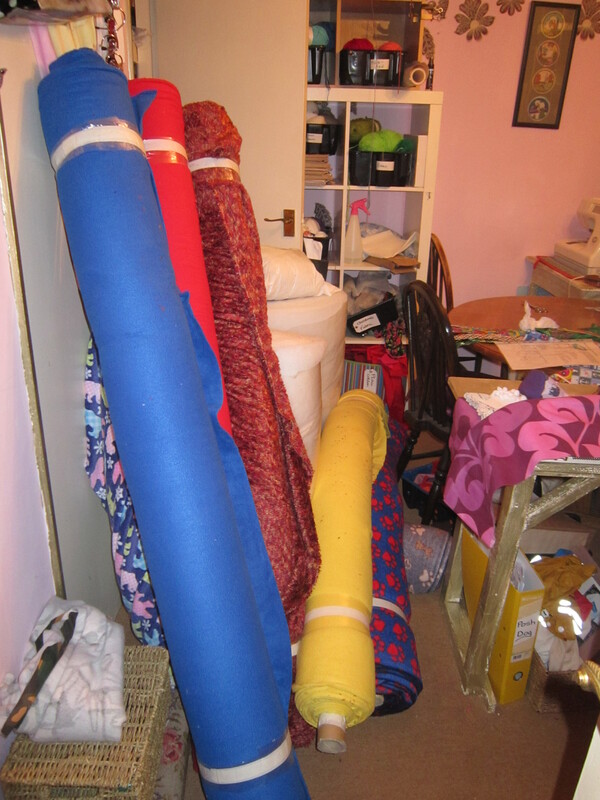 The thing about buying wholesale is that you have to buy a minimum of 10 metres – which is quite a lot! It took me ages to choose which designs to go for – I hope it is a success – then I can buy more colours. And – we are off – well – on really I guess!